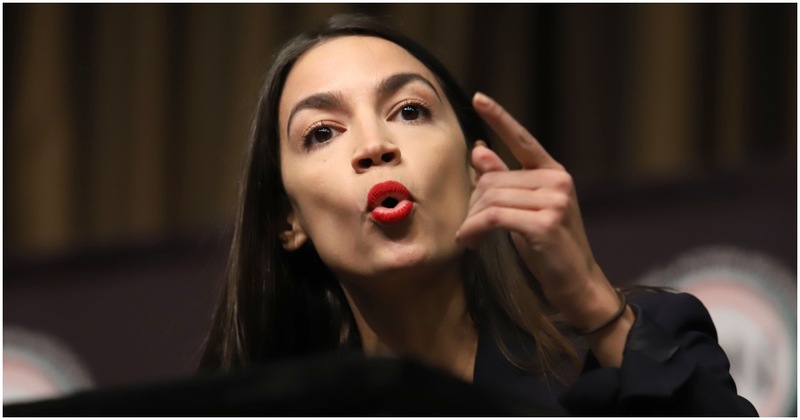 Speaker Nancy Pelosi needs freshman lawmakers like Ilhan Omar (MN), Rashida Tlaib (MI), and, especially, Alexandria Ocasio-Cortez (NY), to know who is in charge of the Democrat Party. Time after time Pelosi has put AOC in her place, with this latest barb going for the jugular. Nancy literally – literally – said, a “glass of water with a ‘D’ next to it” could win Ocasio-Cortez’s district. Pelosi broke dozens of hearts by mocking freshman Ocasio-Cortez on “60 Minutes” with host, Lesley Stahl. It was blatant. It was obvious. OUCH! Five whole people, huh? You just know that has to hurt Ocasio-Cortez’s feelings. Pelosi has already rained on Ocasio-Cortez’s parade when it comes to her “Green New Deal.” On Monday, she did it again. AOC may have a large presence on Twitter, but Nancy couldn’t care less. “While there are people who have a large number of Twitter followers, what’s important is that we have large numbers of votes on the floor of the House,” ⁦@SpeakerPelosi⁩ told me. This week, though, Pelosi unleashed her characteristic subtle criticism on Ocasio-Cortez and her partner in the Green New Deal, Sen. Ed Markey (D-MA), in an interview with a reporter from “Rolling Stone” magazine, who asked her why she had yet to allow House Democrats to dicuss the plan openly. This is not exactly the first time a member of AOC’s own party has told her to stop.